Most master-planned residential developments have in-house real estate teams or partner with local or national brokerage firms to sell their homes and home sites. Not Bella Collina, one of Florida’s preeminent private waterfront and golf club communities situated just 20 minutes west of downtown Orlando. In a unique marketing move, the new Bella Collina recently launched an innovative real estate sales approach by aligning itself with a team of elite real estate professionals from some of Central Florida’s leading brokerage firms. Each real estate agent is being provided with multiple real estate listings to market at Bella Collina, including various custom-home lot categories, built-to-suit homes and newly built spec homes. Agents were selected based on their industry expertise, knowledge of the local market and sales volume. 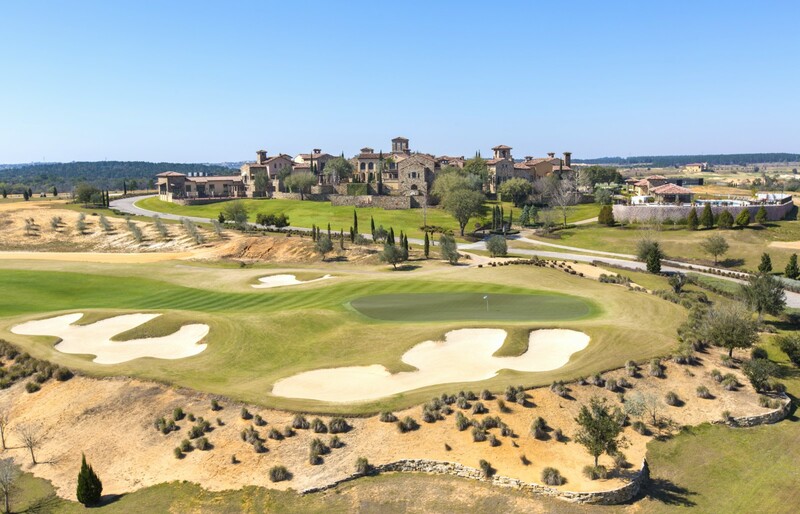 “We look forward to partnering with some of Florida’s leading real estate agents and brokers,” says Randall Greene of DCS Investment Holdings, the owner and operator of Bella Collina. “This innovative new approach is bound to take Bella Collina to the next level. Broker-Associate Erin Wanner of Stockworth Realty Group, Windermere, Fla. Sales Associate Frank Del Toro of Suzi Karr Real Estate, Windermere, Fla.
Realtor Barbara Vance of Re/Max Town Centre, Windermere, Fla.
Broker/Owner Chocky Burks of Premier Realty Partners, Orlando, Fla.
Broker/Owner Chris Christensen of Regal Real Estate Professionals, Orlando, Fla.
Realtor Gabriele Voss-Gay of Engel & Volkers, Winter Park, Fla. Founder Hooman Hamzehloui of Masters Realty, Windermere, Fla. Besides the new sales plan, Bella Collina’s new owners are also pleased to share a number of other notable updates and enhancements to the community. One of the more exciting developments is the release of approximately 35 new premium build-to-suit home sites. Additionally, there are several homes ready for immediate delivery, and several others under construction by a trio of Florida’s best-known custom builders: Phoenix Homes, Vogel Building Group and Dave Brewer Inc. The recently released lots and newly built homes are situated throughout the 1,900-acre property, featuring golf course views, large private island estate settings and waterfront views on Lake Siena and Lake Apopka. Meanwhile, Bella Collina residents and members are enjoying a welcome expansion to the club’s iconic 75,000-square-foot clubhouse and a collection of newly built amenities, including Har-Tru tennis courts, luxurious resort-style pool complex and Sportivo Centro fitness center. Bella Collina is a 1,900-acre private island and private club widely known for its acclaimed 75,000-square-foot Tuscan-inspired Clubhouse. Among the club’s many world-class amenities: Nick Faldo-designed championship golf course with well-appointed men’s and women’s locker rooms; 6 Har-Tru tennis courts; new resort-style pool and outdoor bar/grill; 3,000-square-foot Sportivo Centro health and fitness center; luxurious spa and salon; multiple dining venues; and 7,000-square-foot ballroom/banquet facility. Bella Collina is owned and operated by DCS Investment Holdings, a private equity group based in West Palm Beach, Fla. Prices at Bella Collina start in the $600s for Montevita Village Golf Course Homes with the corresponding golf course lots being priced from $149,900. Siena Villagio Custom Homes start at just under $1 million with the corresponding Interior Lake Siena lots priced from $199,900 and the Lakefront Lots being priced from $474,900. Taormina Village Estate Homes start at $1.5 million with the corresponding Preserve Homesites being priced from $274,900 and the Estate Lake Lots being priced from $599,900.